RALEIGH, N.C., September 6, 2018	(Newswire.com) - Divorce is complicated. But divorce after the age of 50 can be financially devastating. A new book by Haleh Moddasser, CPA, titled Gray Divorce, Silver Linings: A Woman’s Guide to Divorce After 50, couples Moddasser’s professional experience working with women navigating the choppy waters of divorce with her own personal divorce experience. The Tax Cuts and Jobs Act complicates financial matters for pending gray divorcers looking to finalize their settlements by the end of the year. The 2017 legislation eliminates the tax deduction for alimony payments after Dec. 31, 2018. The new regulations further state that recipients of alimony payments will no longer have to include the payments as taxable income. · How to move beyond a divorce. Haleh Moddasser is available for speaking engagements and media interviews. She is passionate about helping women navigate the waters and avoid as many of the problems as possible that inevitably come with a Gray Divorce. For more information or to request a confidential conversation with Moddasser, visit www.StearnsFinancial.com. Gray Divorce, Silver Linings is available for purchase on Amazon. Journalists who would like to receive a copy of the book for review are encouraged to contact JessicaShores@ImpactCommunications.org. Haleh Moddasser, CPA, is a senior vice president and partner at Stearns Financial Group, a fee-only investment management firm with offices in Chapel Hill and Greensboro, North Carolina. Moddasser has extensive experience in the area of women and finance, helping women navigate divorce with the goal of achieving financial security. She has published widely on the topic of women and financial independence and has been interviewed by national media such as Investor’s Business Daily, Financial Times and UNC-TV, a public television network. Her book, Gray Divorce, Silver Linings: A Woman’s Guide to Divorce After 50, is the first in a series of field guides published by Stearns Financial. The newest field guide, 4th Quarter Fumbles: How Successful People Avoid Critical Mistakes Later In Life by Dennis Stearns, is now available. 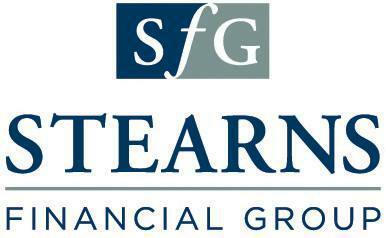 Visit www.StearnsFinancial.com to learn more.